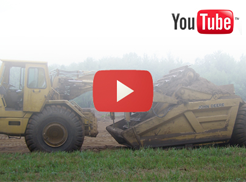 Established in 1946, Morris Shelswell Excavating and grading Ltd. is a family owned excavating company committed to the satisfaction of their customers. We specialize in Digging Basements, Installing Septics, Constructing Ponds, Building Retaining Walls and much more. Associates of Orillia & District Construction Association, Barrie Construction Association, Simcoe County Heavy Construction Association, Canadian Federation of Independent Business and the Oro-Medonte Chamber of Commerce.